Combine the beef strips with the chilli, garlic, ginger and a little oil. Steam or microwave the snake beans until just tender. Combine the soy and oyster sauces, lemon juice, sugar and cornflour in a bowl. Heat the wok, ensure it is hot. Add the oil, add onion, and cook the onion until soft. Remove from the wok and reserve. Reheat the wok, ensure it is hot. 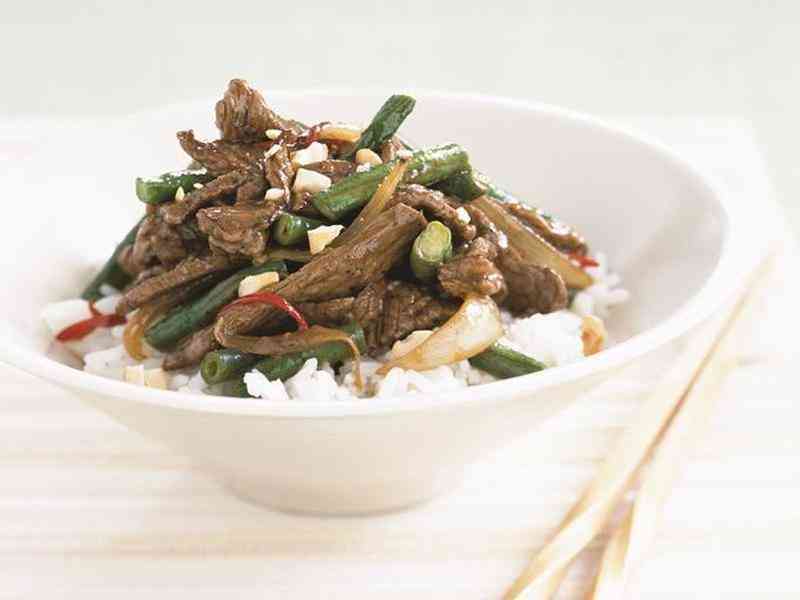 Stir-fry the beef strips in 3 batches, reserving each cooked batch to rest in a warm bowl. Reheat wok between each batch. Return the onion and beef to the wok and add the combined sauce and cornflour mixture. Toss until just thickened, stir through the cooked snake beans. Scatter with the cashews to serve.